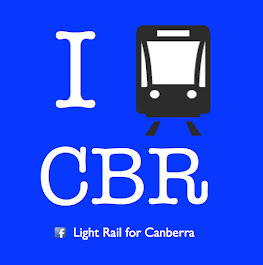 ACT Light Rail have been asked to speak at the Gungahlin Community Council public forum tonight. This seems to be an opportune time to post the executive summary from the 1991 report into Gungahlin transport requirements. 2. (a) the NCPA and the ACT Planning Authority jointly commission or conduct a study into the establishment of a rapid transport system in the Australian Capital Territory. 3. (a) the Commonwealth and Territory Governments jointly and separately (where appropriate) develop and implement the measures described in paragraph 4.4 - such as limiting employment growth in Civic - to limit the number of vehicles travelling between Gungahlin and Civic or other southern destinations; and. (b) in conjunction with the assessment, a broader study of the present and future parking and traffic management needs in the area of the AIS be conducted jointly by the ACT Planning Authority and the NCPA. (b) the Mount Majura - Mount Ainslie area be given legislative protection to preserve its ecological, recreational and educational values. 9. (a) the joint NCPA and ACT Planning Authority study of the area south of Mitchell and between the Federal and Barton Highways commence immediately, and. (b) the study assess the usefulness of a highway link road and determine a road alignment which would effectively link the two highways with the Majura Valley corridor so as to encourage commercial and other through traffic to divert to the peripheral arterial roads and by-pass North Canberra.